VietNamNet Bridge – Vietnam Airlines would take over the 70 percent of Jetstar Pacific’s shares from the State Capital Investment Corporation (SCIC). With the stake transfer deal, Vietnam Airlines would hold up to 90 percent of the domestic aviation market. Saigon Tiep thi has quoted its sources as saying that the national flag air carrier-- Vietnam Airlines would have 70 percent of the stakes of the budget airline Jetstar Pacific, which would be transferred to it by SCIC. SCIC, well known as a state owned powerful general corporation which specializes in using the state’s money to invest in businesses, is now the biggest shareholder of Jetstar Pacific. Therefore, once taking over the 70 percent of stakes from SCIC, Vietnam Airlines will hold the controlling stakes of the budget airline. Established in 2004, Pacific Airlines, the initial name of Jetstar Pacific, was founded by Saigontourist, a travel firm, while Vietnam Airlines was a shareholder holding up to 86 percent of stakes. However, after that, Vietnam Airlines’ capital contribution in Pacific Airlines was then put under the management of SCIC. Pacific Airlines was managed by Luong Hoai Nam for several years, who once worked for Vietnam Airlines. Pacific Airlines decided to serve as a budget airline, becoming a rival of Vietnam Airlines on the domestic aviation market. The fierce competition on the domestic aviation market has become a burning issue since 2008. Jetstar Pacific has been applying different air ticket levels, some of which have been lower than the ceiling levels and the airfares of Vietnam Airlines. 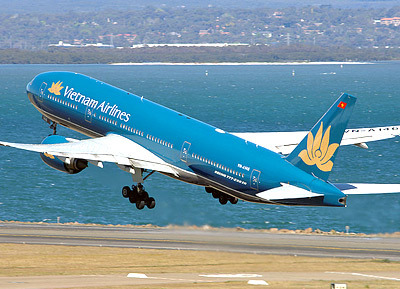 This has forced Vietnam Airlines to change its pricing mechanism in order to compete with Jetstar Pacific on the air routes where both Jetstar Pacific and Vietnam Airlines exploit. Especially, in the competition, airlines have to lower their airfares even though the fuel prices keep increasing, which has led to the big losses to airlines on the domestic market. The story about the competition of the airlines that provide flights on the domestic air routes became “scorching hot” after local newspapers, quoting aviation engineers and passengers, about the service quality provided by Jetstar Pacific. Jetstar Pacific has been reportedly taking heavy losses, partially because of a fuel hedging deal. The big losses even led to the decision to take an investigation, after which the former general director of Jetstar Pacific was arrested, while two foreign directors were prohibited to exit Vietnam for a long time. After that, SCIC, the biggest shareholder, had to appoint Le Song Lai, then deputy general of SCIC, to work as general manager of Jetstar Pacific. However, Jetstar Pacific still has been taking loss over the last year on domestic air routes. This seems to be the common story of all air carriers. It still unclear what has led to the government’s decision to allow Vietnam Airlines to receive Jetstar Pacific’s stakes from SCIC. Analysts have warned that the move may violate the Competition Law, which stipulates that Vietnam prohibits economic concentration if the combined market shares of enterprises participating in economic concentration account for over 50% of the relevant market. However, experts have cited the Article No 19 of the law, saying that the stake transfer deal would be accepted if one or many involved parties in the economic concentration is facing the risk of getting dissolved or fall into bankruptcy. The procedures for the transfer deal have not been completed. However, Qantas, the Australian partner has informed on the Australian stock market about the deal. Meanwhile, an executive from Air Mekong, a private air carrier has expressed his worry that once Vietnam Airlines holds the controlling stakes in Jetstar Pacific, it would have more than 90 percent of the market share. If so, competition would be eased, while the monopoly would increase.